Recently I have been despairing with my wardrobe. It seems to be full of jumpers and the only summer clothing I have I am finding really quite boring. I really want to start being more adventurous with my outfits but I don't feel like I can do this with the clothes that I have. Therefore, I have been looking at the sale items and have chosen a few things from New Look which I quite like but I am undecided whether to purchase. I would love it if you helped me make a decision on what is the best item to go with. I am very tempted to buy the scallop skirt as I have been looking for a black skirt for ages and this one looks quite fun. 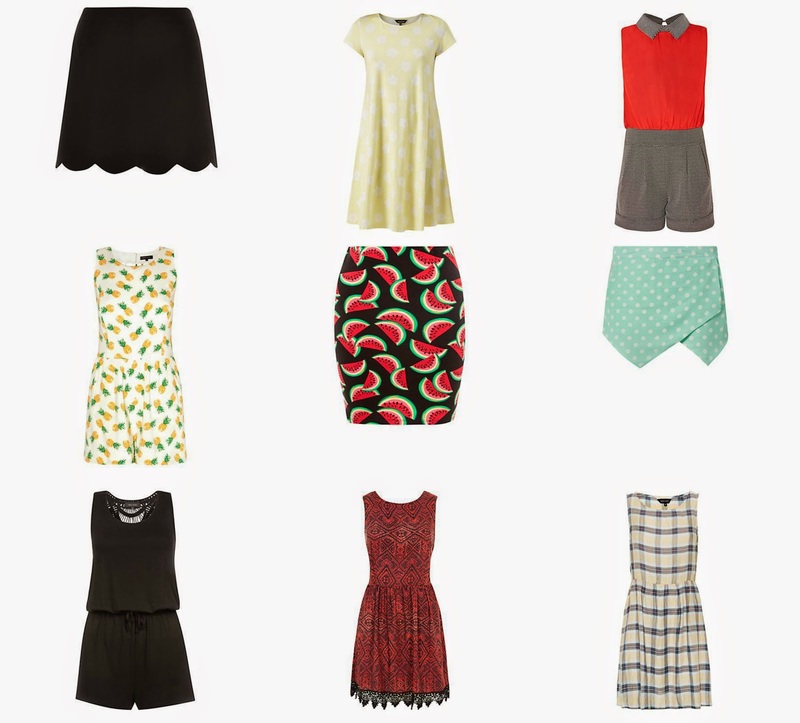 I do also really like the watermelon skirt but I am not sure whether I would have the courage to actually wear it. I would go for the black skirt. perfect to pair with anything! The water melon print is so cute!! !